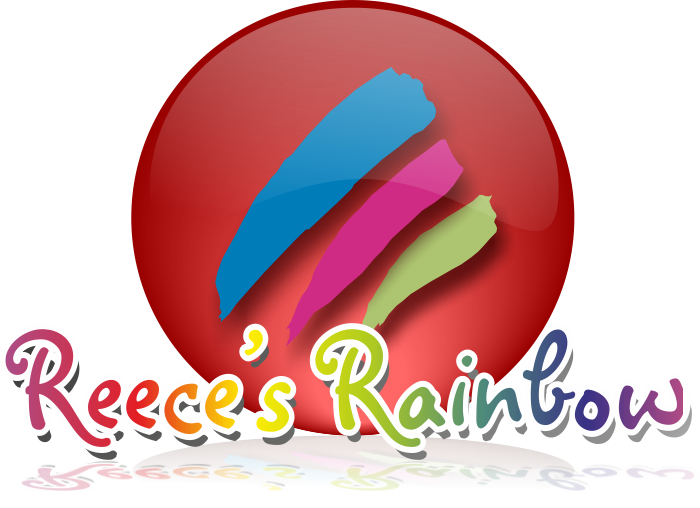 We got the chance to try out a pretty cool on-line resource for teaching beginning music/piano. I took piano lessons for 8 years, plus one really awesome year in college, where I learned chording and ways to jazz up the usual hymns. I can play piano. Back in the olden days, I even used to teach beginning piano lessons. As the years have passed, I have gotten rustier and rustier....oil can.....oil can...(Wizard of Oz reference - just in case you were wondering). I sit down occasionally and try to play a piece of music that I used to play. The ones that I remember playing at my recitals are especially depressing. I can't play like I used to. D-man, A-girl, and L-girl took lessons briefly when we lived in Minnesota. When we moved, we lost our teacher....obviously....and we have not started with anyone new down here. All of the kids seem to be able to sing, but I still would like it...for them....if they could play something. A-girl is taking violin lessons, but we are having the usual issue with practice time. I would like D-man to learn guitar or something equally useful, but, so far, he hasn't come off of the baseball fields long enough to try! L-girl just informed me that she would like to "try" playing flute again. I am in the process of seeing if I can find a teacher we can afford. For my "littles", I am trying something new. It is called Kinderbach. It is a way to take piano lessons at home. I do know how to play the piano, but even if you don't, you could teach your kids with this program. They have a whole parent guide that runs through some of the basics and the theory behind the way they teach it that will help you - even if you are musically challenged! You do need a keyboard or piano eventually, but the lessons all start with basic music and rhythm knowledge. I have had A-man and S-girl working on this. These lessons are supposed to be for kids ages 3 to 7. I would probably say that the initial lessons are a little too "young" for A-man (almost 7) and just about right for S-girl (4...almost 5) .....although they are both doing well and having fun. 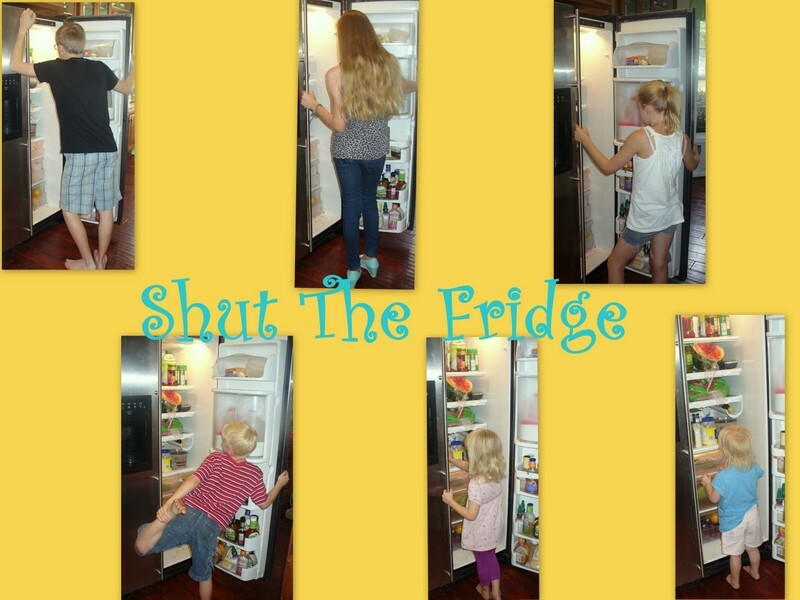 I am not sure how well a 3 year old would do with these lessons....but you could try it. The lessons start with listening for high and low sounds and identifying some of the notes by using characters. For instance, there is Dodi, the Donkey....Dodi lives in the white space between two black keys. For you that have taken musical lessons, you get it, don't you? Without even knowing it, they have taught the kids that this key is D.
Dodi gets a new neighbor, Carla the Caterpillar. There is also Sir Edward Eagle, Professor of Music who moves in on the other side of Dodi. C, D, and E on the keyboard....get it? The lessons progress onward....teaching (with the help of little guys called "beat bugs") that quarter notes are "walking" notes, eighth notes are "running" notes and half notes are "standing" notes. There are coloring and activity pages that go along with the lessons. You can print the whole book, or just what you need, as you go along. There are currently 6 levels of lessons. Each level has 10 "weeks" of activities, with 4 lessons per week.....that being said.....you are not tied to completing them in a week. Remember, music should be fun....so, if your child goes more slowly....or, even more quickly....it is not a big deal. I don't expect my kids to be the next Bach, Jerry Lee Lewis, Yanni....or even Harry Connick, Jr., but they will get the basics of music and will even be able to play a few songs. I will hope (with this mother's ever-hopeful heart) that it will spark the desire within them to continue pursuing music in some way with some instrument.....and that the spark will include...wait for it....the desire to practice! 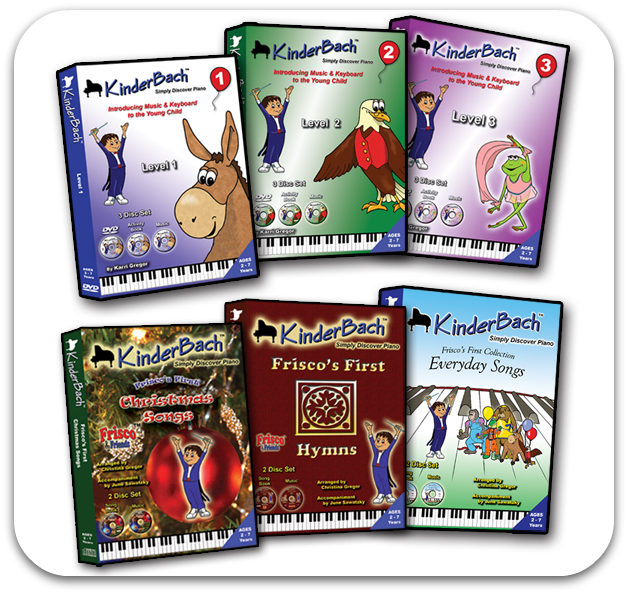 Until then, Kinderbach is filling a great need in my house for learning music and piano basics with fun, colorful characters. The cost for on-line lessons starts at $7.99 a month....yup, per month (with a year long subscription). Waaaaaay cheaper than driving the kids to lessons, isn't it? I think this is a great way to start your kids with music lessons....and a lot easier on everyone involved to just schedule time at home to do it. Go take a look and see what you think. You can get 2 weeks of lessons for free to try out and see if it is something you will all love...or not. I think you will though. They also have their lessons available on DVD, if you don't want to try the on-line version. This version would be especially helpful if you have a slow internet connection (which probably means you live out in the boonies, so driving to town for lessons is even more of a hassle!) or limited time available on your computer. Since this is a review through The Old Schoolhouse (TOS), other crew members are also reviewing this product. Go take a look and see what they think. We received a subscription to the on-line lessons from Kinderbach, in exchange for an honest review of the product.